Santoor Womens Scholarship 2018 Win 24,000 Per annum, Womens Scholarship Application Form. Santoor Womens Scholarship Pragramme is an Opportunity to Pursue Higher Education and Realize your Dream. The Santoor Scholarship program is an initiative of Wipro Consumer Care and Wipro Cares. The program intends to financially support girls from disadvantaged backgrounds, who wish to pursue higher education after grade 12. Launched in 2016-17, the program offers support to 900 students every year, across the states of Andhra Pradesh, Karnataka and Telangana. It is a recurring annual program and the selected students are supported for the duration of their higher education. The support covers tuition fees and incidental expenses. Over the last two years, close to 1800 students have received support through the Santoor Scholarship Program. Besides students inclined towards professional courses, those showing a keen interest in pursuing their higher education in the fields of humanities, liberal arts and sciences are strongly encouraged to apply. Preference is given to students from backward districts. a. Have completed their grade 10 in a local government school. b. Complete their grade 12 in a government school/junior college in the academic year 2017-18.
c. Have enrolled for a full time recognized diploma/graduate program beginning 2018-19, of a minimum three years. 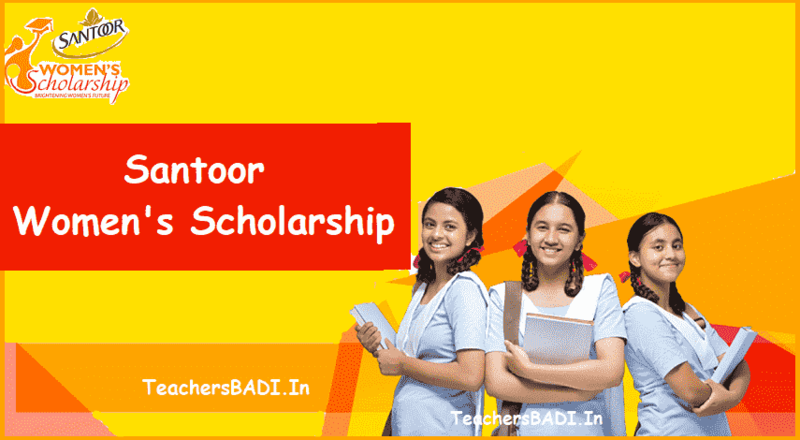 What is Santoor Women's Scholarship 2018? Santoor Women's Scholarship 2018 invites applications from young women who have completed the class 12 in the year 2017-18 and wish to pursue higher education. The scholarship aims to support the tuition and other incidental expenses related to education. The program intends to support 900 students for the entire duration of their course; and is available to students in AP, Karnataka and Telangana only. The scholarship is being offered by Wipro Consumer Care and Wipro Cares with an objective to support and encourage young women to pursue higher education in the field of humanities, liberal arts and sciences. The programme was launched in the year 2016-17 and the preference will be given to girls of backward districts. The scholarship consists of INR 24,000 per annum till they complete their study and are permitted to utilize the amount either for tuition fees or another purpose related to education. Step 4: The applicants have to write an essay in about 600 words describing themselves and why they have decided to pursue the chosen course of study and how this scholarship will help them. What are the documents required for the Santoor Women's Scholarship 2018? Any application which does not meet the prerequisites is liable to be rejected.Wipro Cares reserves the sole right to offer the scholarship and also has the right to modify/reject/withdraw and/or discontinue the offer without assigning any reason. No other body/agency is authorized to make any offer on the Santoor Scholarship. 1. The form needs to be filled in English, preferably. 2. Enter all the details in BLOCK letters using a ball point/gel pen and complete all the sections in full. • One recent passport size color photograph. First two pages of the applicant's bank passbook. Please note that the bank account should be in the name of the applicant; and Grameen Bank accounts will not be considered. The applications will be available from July 15th, 2018 and the last date of receiving completed form is August 15th, 2018. Applicants are encouraged to apply at the earliest possible date. reliable courier. Wipro Cares is not responsible for any lapse in postal or courier services. The applicant is required to read the following terms and conditions in its entirety. The candidate on submitting the applica¬tion is deemed to have accepted the terms and conditions herein. 1. This form is meant for applying for a grant under the 'SANTOOR SCHOLARSHIP' program for the year 2018-19, for girl students who wish to pursue higher education after grade 12, in any discipline of a minimum of three years' duration. • Have completed their grade 10 in a government school. • Have successfully completed their grade 12/Inter/PUC in the academic year 2017-18 in a government school/college. • Enroll for a full time recognized degree program beginning 2018-19, in any recognized educational institution. The duration of such a course should be of a minimum of three years. 3. Any application which does not meet the prerequisites is liable to be rejected. 4. Wipro Cares reserves the sole right to offer the scholarship and also has the right to modify/reject/withdraw and/or discontinue the offer without assigning any reason. No other body/agency is authorized to make any offer on the Santoor Scholarship. The application forms will be available beginning July 15th, 2018 and the last date to submit the duly filled in application form is September 15th, 2018. Applicants are advised to carefully read the instructions and refer the Frequently Asked Questions (FAQs) before filling the forms.